In the years after his death Duverney's name was kept in the public eye by the protracted and well-publicised legal battle which ensured between his heir, the Comte de La Blâche, and his protégé, Beaumarchais. Unsurprisingly, there was speculation his estate was worth far more than had been openly declared. A great deal of astonishment was caused by Duverney’s modest legacy [1,500,000 livres] for public opinion held that he was worth 20 million livres. People wondered what had become of the immense riches of the great financier, who had always been so fortunate in his speculations. Strange rumours abounded; there was talk of treasure hidden away for some mysterious purpose. However, interest died away in the turbulent years of the Revolution and Duverney was so thoroughly forgotten that, even fifteen years ago, his name was unknown in the École militaire which he had founded. A chance event brought back to mind both his name and his treasure. 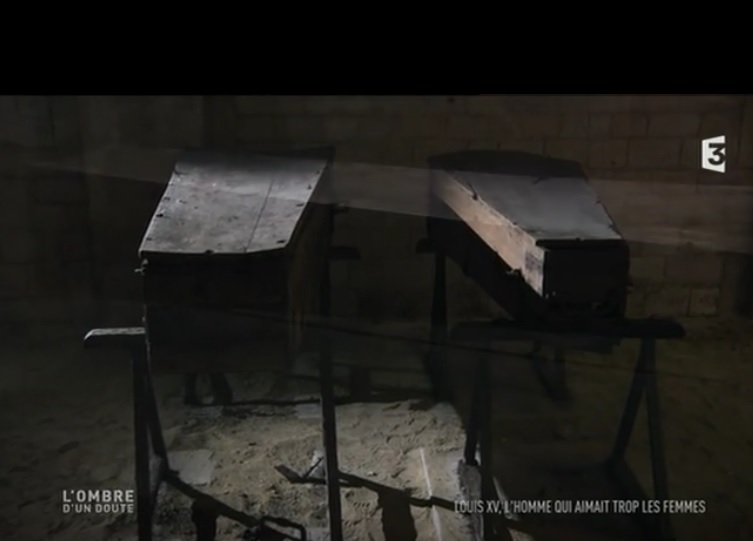 In 1846, during repairs to the floor of the chapel of the École militaire, an old lady reported that she had heard from her father, a sacristan before the Revolution, that there existed close to the altar, a crypt containing coffins. This claim seemed unlikely, for there was no monument or inscription in the chapel, nor any sign that one had ever existed. However, investigations revealed that one of the stone slabs to the right of the altar concealed the entrance to the crypt that the old lady had described. The investigators went down and the engineer in charge found two coffins. One belonged to Duverney: a copper plaque attached to it bore an inscription to him]. The two coffins were in a state of perfect preservation, as if they had been put there only yesterday. In the earth could be seen clearly the footprints of the last priest or friend who had left, eighty years previously, after paying their final respects. The coffins were left as they had been found; all that was done was to replace the stone slab with one of a different colour to mark the spot. One would have supposed that such a minor event would have gone unnoticed. But in certain circles news spread and memories of the mysterious hidden treasure were revived, though in whose mind we do not know. All seemed forgotten when in 1848 a general who boasted one of the most illustrious names of the First Empire appeared at the École militaire with authorisation to look for treasure. All the buildings were searched with great care...but to no avail. That is not all. Last year [towards the end of 1859] an unknown person, who imagined himself better informed, took advantage of the absence of the chaplain ...to insinuate his way into the chapel at night , lift up the stone into the crypt and conduct a thorough survey. No doubt frustrated by his lack of results, this man seems to have fallen prey to a kind of madness and imagined suddenly that Duverny must have with him, in his very hands perhaps, a paper or sign which would provide the searcher with some clue. Without hesitation he took a sacrilegious hand to the coffin, broke it open and rifled thoroughly through the clothes of the body. The cadavre kept its secret. There are certainly strange goings-on here; but the identity of the general, and the information the intruder was acting on remain a mystery. A detailed history of the chapels and clergy of the École militaire, which was published in the 1933, adds only that the judicial enquiry was abandoned. In 1901 the Commission du Vieux-Paris once again rediscovered the crypt and noted the inscriptions on the two coffins. 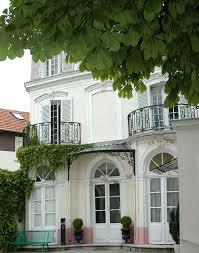 In Spring 1929 a party accompanied the architect responsible for Historical Monuments on an inspection. They lifted up two flagstones, and decended by an iron ladder. They were impressed by the dryness of the earth and the perfect state of the walls and vault. The two oak coffins rested on iron tressles and were still open. 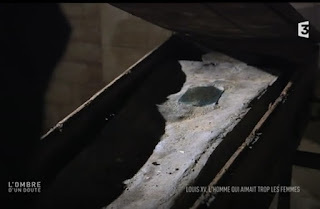 Both contained inner anthropomorphic lead coffins; Duverney's still showed signs of the damage which had been inflicted on it and was resoldered (Laulin (1933) note, p.157-8). 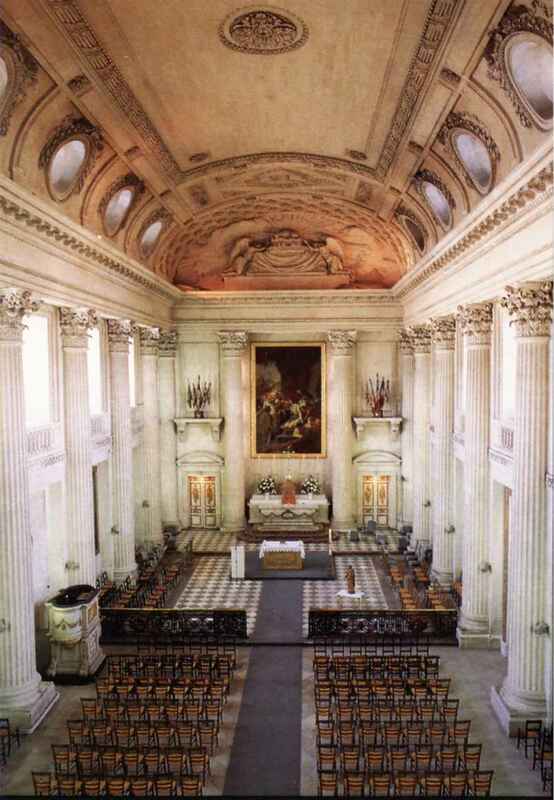 R.Laulan, "Les chapelles de l'École militaire et la vie religieuse dans l'ancien hôtel royal", Bulletin de la Société de l'histoire de Paris et de l'Ile-de-France, 60, 1933. p.108-185. Here is small relic of Joseph Pâris Duverney, a altar bearing his arms which he presented to the parish of Nogent on the occasion of his reception as Seigneur of Plaisance in 1721. 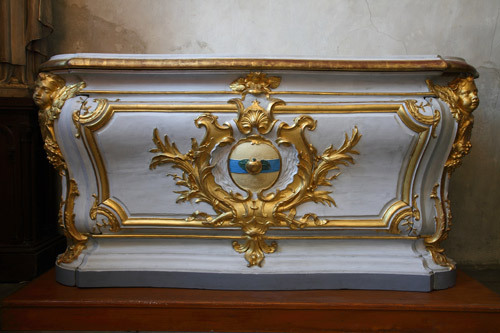 After being in the museum in Nogent since 1959, it was recently restored to the parish church of Saint-Saturnin. The château de Plaisance itself survived the Revolution only to be demolished in 1818. Only a small pavillion remains, today part of the maison de Santé, 30 rue de Plaisance.